The boss of Scotland’s busiest airport has said the industry is currently “not a comfortable place to be”, because of high taxes and Brexit uncertainty. He also said certainty over the UK’s deal for leaving the EU was needed so airlines could invest confidently. 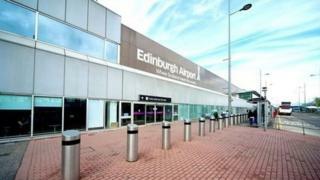 Edinburgh Airport has just announced that one million passengers went through the terminal last month – a first for the month of March. Mr Dewar told the BBC’s Radio’s Good Morning Scotland programme: “We’ve got particular issues in the UK with all of the uncertainty around Brexit and on top of that we’ve got the highest taxation anywhere in the world. “What we’re hearing from airlines is that, as belts need to be tightened, Scotland and the UK in general are probably going to suffer more than most. “While we’re bucking the trend at the moment, it’s not a comfortable place to be. Mr Dewar added: “The trouble is, it was promised as though it were imminent four or five years ago and airlines like Norwegian and Ryanair invested very heavily in putting new capacity into the market then. But he added: “What’s less certain is what’s going to happen with the wider economy. For the latest business news as it happens, follow BBC presenter Andrew Black’s updates each weekday morning on BBC Radio Scotland’s Good Morning Scotland programme between 0600 and 0900.